Mushrooms mystify us humans unless we are familiar with them. Most people are frightened away when they see one pop up in the yard. You generally probably don’t eat them. Can chickens eat mushrooms though? They could certainly pick them out of your yard, but what would the repercussions of that be? When homesteaders think of chickens eating mushrooms they freak out.The answer is more complicated than a yes and no answer. Chickens make great farm animals. They eat almost anything you give them, and give you back a whole lot in return from eggs to meat to entertainment. Chickens are foragers. They’ll go around eating whatever looks good and they can fit in their mouths. With intuition they know not to eat certain things. But, can chickens have mushrooms? If you throw it in their food bowl, they’ll likely eat it. So, make sure you’re not feeding them anything that can kill them, like certain mushrooms. Just as we have an issue eating some mushrooms, so do chickens. Certain mushrooms like morel mushrooms and button mushrooms can be eaten. Other mushrooms growing in the woodlands like hen of the woods, chicken of the woods, oyster mushrooms and a list of other safe mushrooms are really healthy for our flock. What we need to do to keep our flock safe is become familiar with these mushrooms and know which are edible. Some are easier to tell apart than others; that’s why I always consider white mushrooms and little brown mushrooms as unsafe. This is because I’m not a super mushroom expert. I have read of many mushroom experts that have died on account of eating the wrong white mushroom, thinking they were button mushrooms. Now I know you love your chickens, but the honest truth is they are not the smartest creatures on earth. Chickens will peck at just about anything once, making it almost impossible to pass up some weird thing that popped up in the pen overnight. The good news is that chickens don’t usually seek out mushrooms, and just a little peck probably won’t hurt your chickens at all. Most mushrooms will be ignored because they are just not easy to eat. Most raw mushrooms have a rubbery texture. So, they will move on after a peck. One way to keep your chickens safe is to walk the pen or area they will be in every morning. Most mushrooms pop up overnight and can be cut and disposed of easily. Without the temptation, you won’t have any dead chickens! Some easily recognizable mushrooms can be harvested and fed to your flock. I would keep some like morels for myself. I love morels! If you would like to share your mushroom find or have the ends of store bought mushrooms just dice and cook them up for your chickens. Yes, I said chop and cook up the mushrooms. Uncooked mushrooms are hard to digest. All mushrooms should be cooked and diced if you expect your chickens to eat them. Mixing them with your feed will increase the chances that they will eat them all up. Now you know the answer, and yes, your chickens can eat mushrooms, but no, they cannot eat them all. Since your feathered friend can’t be the expert, you should be. If you are truly interested in supplementing your chicken feeding regimen, consider growing mushrooms. Growing mushrooms can be easy and fun. Not only will you have healthier chickens, but it’s fun growing them! 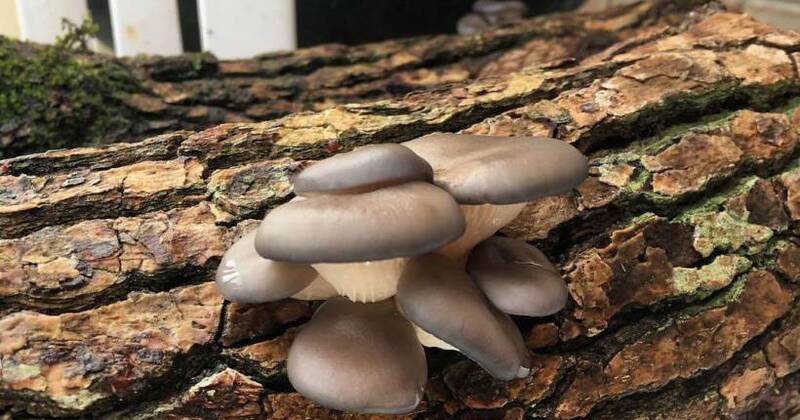 Shiitake mushrooms and other types of mushrooms can be grown on logs. Stacking these logs in the chicken run lets them search through the logs for mushrooms and the pests they bring. Mushroom logs get attacked by slugs, mushrooms, mites and mushroom flies. The pests will give your chickens a distraction as they jump to reach treats from stacked mushroom logs. If you are interested in making some mushroom logs, search the net for mushroom spawn. Many companies offer the tools and the know how to make mushroom logs at home. All you will need is a few hardwood logs, about 36” long, and the spawn. Some basic tools will be needed and will be explained to you by the company you buy your spawn from. Once you have a supply of mushrooms for your chickens to eat they may consider sharing some with you. Even if you find out they don’t like your mushrooms, they will eat the pests, so you can eat those beautiful mushrooms. Some chickens are pickier than others. I have had some breeds that eat anything and other breeds that look at me like “Get real; I’m not eating that!” I have had almost no luck with the standard red egg layers or the Cornish crosses. These birds like their regular bagged feed and don’t go far from it. Other heritage breeds of chicken do better. If you want mushroom eating chickens, buy heritage breed poultry, and if you don’t want mushroom eating birds, buy the standard industry breeds. 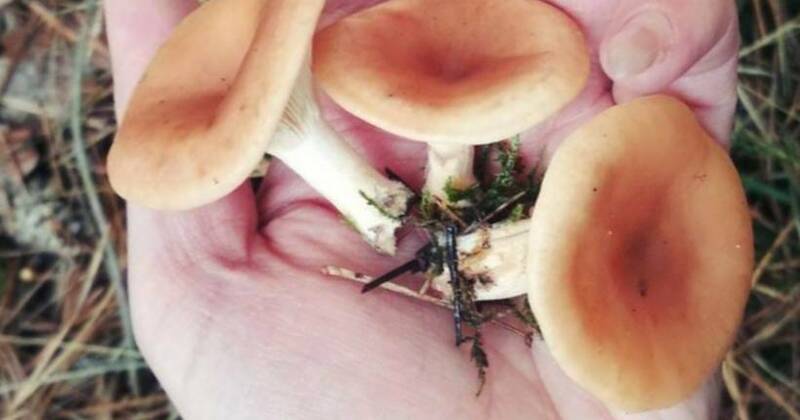 Have fun doing your research on mushrooms both cultivated and wild-picked. It’s enjoyable, and your chickens will appreciate it. It’s all part of balancing their diet!